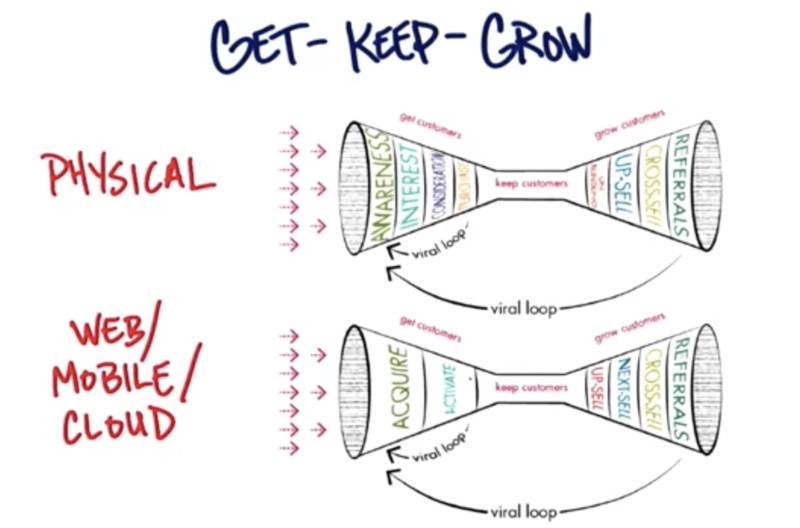 How do you get, keep, and grow customers? Get, keep, and grow are the three critical parts of customer relationships. Corporations are made up of human beings with titles. Customer discovery is to continually refine opinion about target customers based on fact.